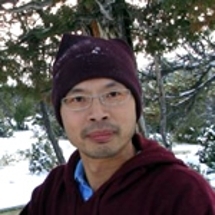 Dr. Tung-Chung Mou was recently awarded a NSF EPSCoR Research Infrastructure Improvement (RII) Track-4 fellowship. The title of his project is Strengthening structural biology research with single particle cryo-electron microscopy (cryo-EM). This award aims to obtain a comprehensive training in cryo-EM at the National Center for Macromolecular Imaging (NCMI) to apprehend this new and still developing technique to visualize biomolecular structures in atomic resolution. This will effectively strengthen the development of comprehensive structural biological tools at the University of Montana. Determining the three-dimensional arrangement of macromolecular atoms is essential to understand its fundamental mechanistic details of critical biological processes and the interactions between biomolecules. For a long time, X-ray crystallography has been a dominant and successful method for solving macromolecular structure; however, many challenging targets- especially membrane proteins are still resisting to crystalize. Thanks to the recent development of next generation technology for structural biology, the single particle cryo-EM is emerging as a powerful complement to X-ray crystallography for analyzing large and dynamic complex assembles. The NCMI is one of a few national cryo-EM core facilities staffed with experts to provide training and automated single-particle data acquisition. Through collaborative visits with NCMI, the PI and a student trainee will receive in-depth knowledge of cryo-EM and hands-on experience to operate cryo-EM instrumentation. This opportunity will strengthen collaboration between the infrastructures at NCMI and the scientists from the University of Montana who wish to extend their research on structural biology to include cryo-EM technology, especially for samples that exhibit conformational heterogeneity, making them unsuitable for for X-ray crystallographic analysis. The long term impact of this project will extend to the involvement of graduate and undergraduate students in STEM fields through workshops or lectures and prepare them, as next generation structural biologists in the state of Montana, to understand how cryo-EM technologies can be used to explore complex biological structures.